All dog lovers hope to see their beloved companion pass away peacefully in their sleep. But if you ask most veterinarians, you’ll find that this, sadly, is rarer than most of us would like to think. We all love our pets. So, as with many things in life, when your dog starts getting older, it pays to think ahead. If you don’t want them to suffer, figuring out when to euthanize an old dog – to give them a peaceful, gentle end to a life lived in joy and companionship with you – can mean the difference between dignity and distress. If you are healthy, touch wood, you will end up living longer than any canine members of your family. Larger dogs may live less than ten years and even the most long-lived breeds live for less than twenty. This means that at some point, all things being equal, there’s a high chance that it will be your responsibility to decide what’s best for your pet when they reach a painful old age. If they are suffering, if they are in pain, can you consider helping them to escape from it? Even if the side-effect of that escape is losing their companionship? For most responsible dog owners, the sad answer should be yes. When to euthanize an old dog – is it pain or age? Your favoured vet should always be your first port of call when your dog is in pain or suffering. If you can make your vet come to you, even better. There may be some simple remedies or medications which can relieve pain in dogs up to quite an advanced age. Even arthritis, one of the classic symptoms of old age in dogs as well as humans, can usually be relieved with the right medication. Acting early, of course, is always the best course. A proper diagnosis from your vet will help you to be confident that you are doing what is best for your pet. But it can be difficult to tell when a dog is suffering in the first place. As a rule, most animals do not like to show signs of pain. In the wild, this would leave them open to being preyed on or competed with by stronger animals. Many dogs can skip a meal or two without difficulty or occasionally not be keen on their food. But a persistent loss of appetite can indicate a more serious underlying condition. If your pet cannot face their food for more than a day at a time or they are suffering from ongoing vomiting or diarrhea, that’s a cause for concern. If your pet hasn’t suffered an accident or injury but still can’t manage to stand up or walk without your help, it can be a sign that age has finally caught up with them. It’s not a definite sign which tells you categorically when to euthanize a dog, but it’s certainly not a good indication. Letting out a few drops of urine every now and again are a sign of age familiar to many. They’re not particularly pleasant but are simply something which comes with getting older and not necessarily something to worry about. Serious problems with bladder and bowel control, however, are almost always a symptom that something deeper is wrong. 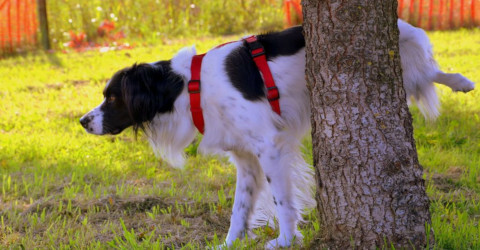 If your animal companion can’t manage to get up to reach their normal spot or soils him or herself on a regular basis, it’s definitely time to consult your vet. You should always keep an eye on older dogs to ensure they aren’t struggling to breathe. Coughing can be the most obvious example of this. Very laboured breathing or very short rapid breathing which doesn’t desist for a long period of time is also very serious. Breathing problems, especially when fluid has gotten into the lungs, can be incredibly stressful and painful for your pet. It’s a sensation akin to drowning, and one of those times when to euthanize an old dog is an act of mercy and compassion. Most dogs love going for a walk. Chasing their ball. Riding in your car. Most love being petted and stroked and hugged. After knowing them for so long you’ll be fully aware of what your canine companion’s favourite activities are. If they no longer have the energy or the will to take part in those activities, it’s almost a guaranteed sign that something is bothering them. Especially in old age, perhaps something very serious. But even a very old or sick dog may be able to summon the energy for a quick spurt of activity once in a while. Make no mistake, they’re almost certainly doing it for you so that you can be happy. Long bouts of lethargic inactivity followed by short-lived energy bursts may not be a great sign. When it comes to knowing when to put a dog down, old age and suffering in old age can be difficult to tell apart. As before, try to bear in mind that after them being a part of your family for so many years, you know your dog. Forgetfulness: do familiar settings seem to make them feel uncomfortable or restless? Do they wander around lost even in the home they’ve known for years? This could be a sign that their memory is starting to slide away. Blindness or difficulty seeing: does your dog walk into walls or trip over things on the floor? They may be experiencing age-related problems with their eyesight. Pale gums: these can be a sign that they aren’t getting enough oxygen. This could be a problem with any number of things but is definitely worth getting checked out. Do they usually want to hug but now try and find out of the way places to hide? Under your shed outside? Under a bed in your house? Or, do they usually like to be left alone but now they want attention every minute of the day? 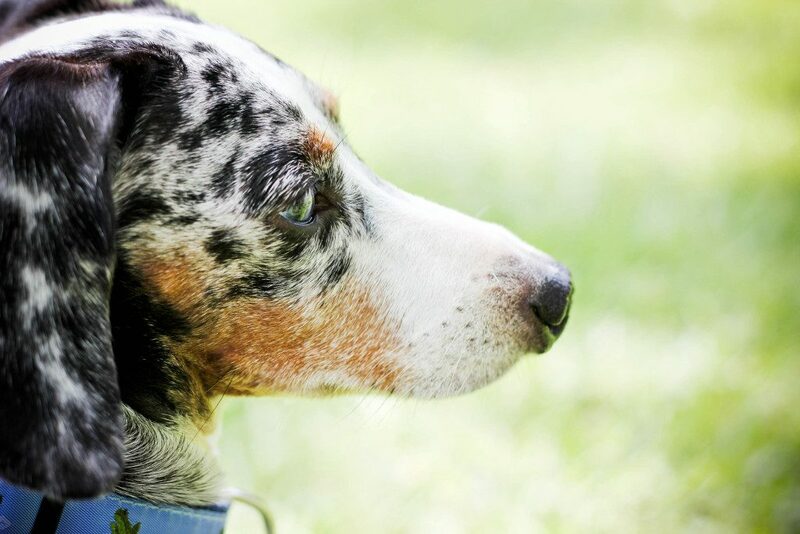 Like many beautiful natural creatures, dogs can sense when their time is coming to an end. Your dog might be trying to tell you something. As always, it’s your job to be listening.